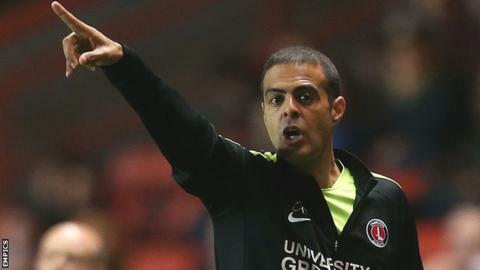 Charlton Athletic have sacked head coach Guy Luzon after a 3-0 home defeat by Brentford left them in the Championship relegation zone. The Addicks have lost seven of their last nine league games and last won in the Championship in late August. Luzon, 40, was appointed in January and won 12 of his 36 matches in charge, steering the club to a safe 12th-placed finish last season. Coaches Damian Matthew and David Martane have also left the Valley. Saturday's Brentford loss followed a defeat by the same 3-0 scoreline at home to Preston in midweek. Luzon told BBC Radio London on Friday: "We are not a team that need to be a part of the relegation war. We are more than this. The Addicks face away games at Middlesbrough and MK Dons next week, before they host Sheffield Wednesday on 7 November.